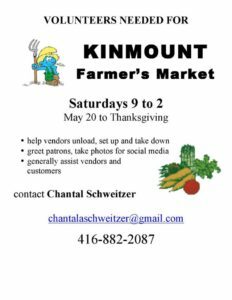 Are you a high school student in the Kinmount area looking for an opportunity to fulfill your community service? We need your help! 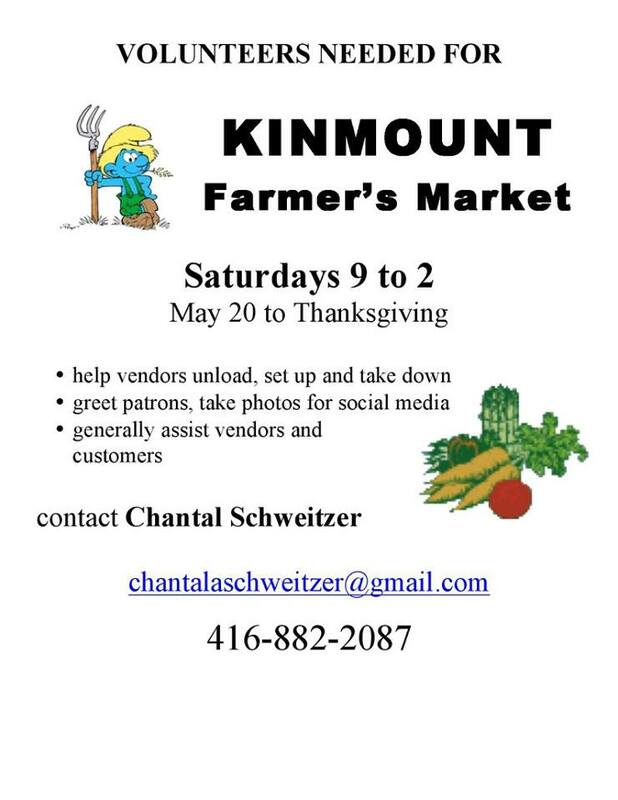 Every Saturday from 8:30 until 2:00 we need volunteers to help us set up the market, provide information and recipes to the public and help with special events at the Kinmount Farmers’ Market.